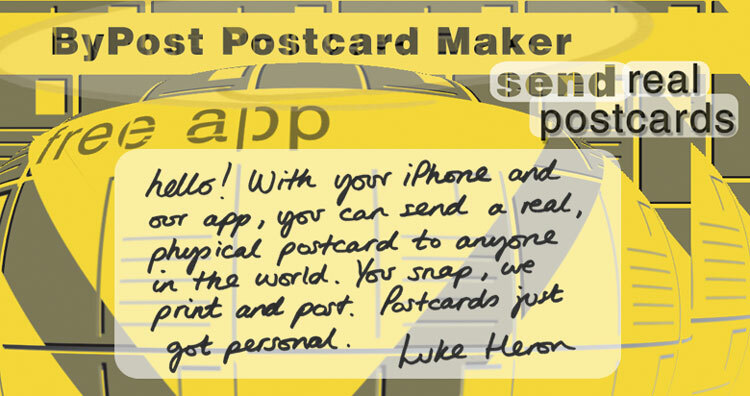 Email killed SnailMail now the ByPost Postcard Maker App for both iOS and Android is set to revolutionise sending a Postcard. Quite simply when you're abroad a MMS message to friends and loved ones back home is simply not good enough. But at the same time negotiating distinctly awkward foreign language barriers and inept post offices (isn't a Holiday meant to relax you , not expose you to a foreign countries inner government workings!) 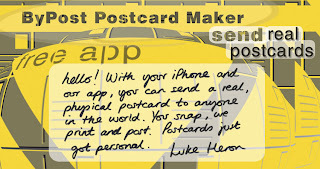 is becoming a greater barrier to sending a physical postcard. Now we're not reviewing an app that will take a beautiful picture of your holiday and send it to friends' mobiles, because let's face it a digital message just lacks all sense of class. 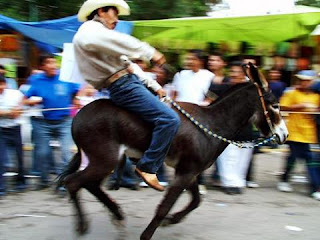 We're instead reviewing an app that claims to be a one of a kind that will allow you to send an individual and personalised picture through the traditional postal system so your inane picture of a Cuban Donkey emblazoned with a "Wish you were Here" will actually arrive as a physical postcard through the recipients door and be back home long before you are. The Postcard sending app is remarkably easy to use and simply allows you to attach a message to the gallery picture of your choice. A simple sign up process then sees your funny/romantic/relaxing/exciting photo arriving as a postcard through the door a few days later. The cards themselves have all had glowing reviews and are sturdy and high quality. The app itself is free and very easy to use, there is a sign up and the service itself, though inexpensive, does charge a small fee which can be paid through your BYPOST account. The only other negative is that it is sometimes nice to receive something hand written, if you're that old fashioned. The concept of this app looks great, with the help of this app we can make postcard of our own style and can send it to one in few minutes. If got chance would love to give this app a try.